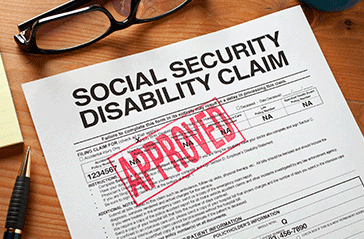 Getting approved for disability by the Social Security Administration for anxiety disorders, an emotional disability or other type of mental disability is harder than getting approved for a physically disabling condition. Why? The primary reason is that symptoms of a mental illness cannot be objectively evaluated like x-rays, MRIs or CT scans can be evaluated. In addition, signs of mental illness like severe depression, panic and delusional thinking are difficult to objectively measure. How are Mental and Emotional Conditions Determined as Disabling by SSA Reviewers? If chronic anxiety disorders or a mental disability is not as severe as Blue Book listings require, an applicant may still qualify for a medical-vocational allowance if the mental health issue prevents them from working. SSA reviewers will then determine if the applicant’s mental residual functional capacity (RFC) indicates they suffer from functional, social or intellectual limitations that make it impossible for them to work full-time. How Can You Improve Your Chances of Being Approved for a Mental Illness? The most important way to increase your chance of getting approved for an emotional disability or mental disability is to show the SSA you have been seeing a psychologist and/or a psychiatrist regularly for at least one year and that you have adhered to treatment plans (taking medication as prescribed, attending all therapy sessions). Letting an experienced disability lawyer handle your claim will also significantly make it much more likely you will be approved. Contact London Disability today to learn more about getting disability for mental or emotional conditions.